CAPE CANAVERAL, Florida — There is going to be a full Moon on the night of June 22, 2013, but not just any full Moon, it will be a Strawberry Moon that is also a Super Moon. According to NASA, the full moon on June 30, 1996 was barely a “Blue Moon” because it occurred as the second Full Moon within the month. In time zones East of Brevard County on Florida’s Space Coast, however, this was the first Full Moon of July. What’s so special about this 2013 Strawberry Super Moon? 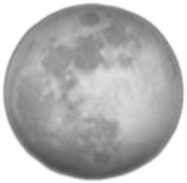 The Moon will be 100% full May 5, 8:36 P.M. Las Vegas time. According to The Old Farmer’s Almanac May’s Moon is called the Full Flower Moon. From the editor & janitor: When the honorable mayor of Las Vegas, Jan Jones was in office, I heard her say (on a KDWN radio broadcast) that “the most favorable time to hit a jackpot was when there was a Full Moon;” I’m paraphrasing – it’s been a while. This is something I’ve heard a lot over the years.